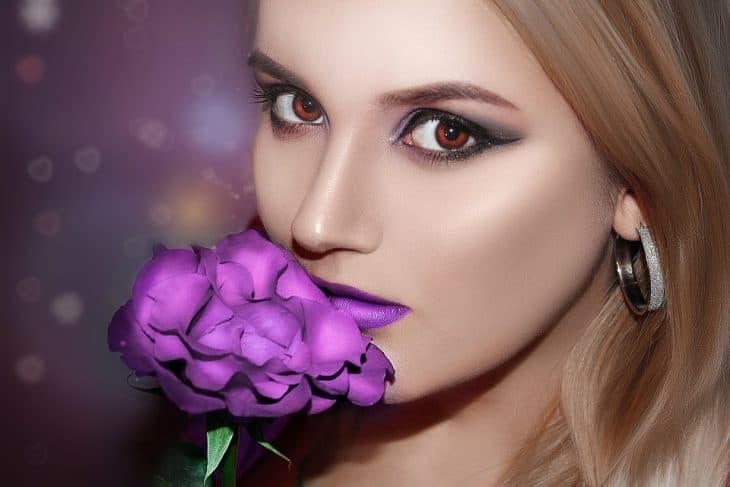 Contouring is a makeup technique that involves using a color 2 or 3 times darker than your skin color and applying to the areas on your face that you would like to ‘recede’ creating a 3D effect with makeup. Contour is almost always coupled with the highlighting technique which involves using a shimmer or shade 2 or 3 times lighter than your skin color in order to ‘bring out’ certain features and make them appear more prominent. Many people believe that the technique of contouring is a new phenomenon but it has in fact been around for decades. It wasn’t until around year 2010 that this technique became more mainstream thanks to celebrities such as Kim Kardashian. Kim always has a heavy contour and because of her popularity and beauty many more women are accepting the contour as a standard for their makeup regime. You can use powder or crème textures to develop your contour or even both. If your face is on the oilier side, I would recommend a powder and if your skin is dry you might be better off using a crème contour. Kim uses Crème first and then sets the crème by using a powder over it. The occasion will also affect your technique as the crème technique may be a bit heavy for a casual day look. Using both crème and powder is best for an evening out and will last longer than using just one technique on its own. The weather also plays a factor when choosing your product . if you live in a hot location than I would recommend using powder as the crème may melt and ruin your work. A contour shade is simply a shade of powder or crème that is 2 or 3 times darker than your skin tone. You can use the regular bronzer that you have in your kit or you can buy a contour kit that is specifically designed to be used as a contour. Either option works well but be aware that sometimes bronzers have lot of shimmer in it so make sure you are using a matte shade as you want to make the contour to look as natural as possible. There are many options to choose from so make sure to read some reviews before making your decision. For the powder technique you should use a blush brush. This medium sized brush will allow you to gradually build up the desired colour but is also the perfect size to fit into the hollows of your cheeks and temples. If you desire you can also buy a brush specifically for your powder Contour including the very popular Nars ITA contour brush (http://bluewindbeauty.com/185-large_default/nars-21-ita-brush.jpg ) which is an angled brush designed specifically to make sculpting your contour easy. If using crème to contour you first apply the contour with a pointed foundation brush and then blend using a beauty blender. If you are a novice to makeup you will most likely struggle at the beginning but practice makes perfect and this technique is definitely worth the effort. I would suggest watching you-tube clips to perfect your technique making sure to pick a makeup artist with similar coloring and face shape to your own.